Welcome! Extreme Shutter Systems Inc. looks forward to providing you with quality hurricane protection at an affordable price. We are a locally owned and operated company manufacturing and installing quality hurricane protection along with other aluminum products. Our high quality workmanship and engineering excellence has earned us our outstanding reputation in the storm protection industry. Extreme Shutter Systems Inc. takes pride in every aspect of storm protection beginning with the manufacturing and continuing with the installation and maintenance. We truly strive to make your home or office a safer place. Whether it's protection against severe storms or added security our products help put you in control. Extreme Shutter Systems Inc. continues to proudly manufacture expertly designed hurricane protection that provides minimal maintenance, maximum durability and exceptional security while keeping price, ease of operation, and appearance a top priority. 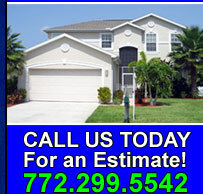 Extreme Shutter Systems Inc. services the entire Treasure Coast area along with Monroe County.